Many a times on a Web load balancer, developers argue whether to use InProc or Out of Process session management. The way to acheive InProc session management is by using Affinity. What it means is once a user request hits a web server, all the subsequent requests must be directed to the same web server, other the session will be lost. These are also called sticky sessions. Some pros and cons of this approach. Getting rid of affinity is called Distribution or Out of Process. Ever wondered how you can convert a varchar without the hyphens or dashes to a uniqueidentifier. Here is the small t-sql script you can use. There is no direct option to create a hyperlink in SSRS, however you still can create links. This is how. • In the Value box enter the display for the link. You can use the expressions too. 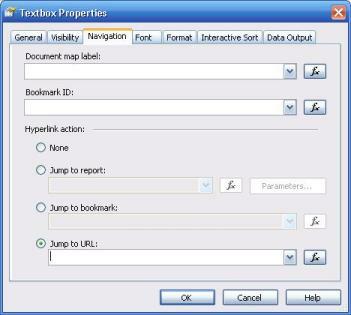 Note that reporting services will not display the underlined and blue color hyperlinks, one trick is to format the text color to blue and use Font Decoration Underline.